It’s been a long, snowy winter in Calgary, and the forecast says we’re not out of the woods yet. Weather predictions are calling for a cold Easter weekend with yes, even more snow. Spring in Calgary can be a cruel game, when we are all teased by short spells of nice weather broken up by blasts of winter. This cycle usually repeats itself a few times before the mercury climbs above zero for good, creating some potentially tricky situations for home and commercial property owners. A couple weeks ago we went through the difficulties that can be cause by ice dams and blocked drains. Ice dams occur when melting snow and ice get trapped in your eaves and refreeze, creating sizable build-ups of ice. When the temperature inches above freezing, these ice buildups melt again, causing the ice to climb further and further up your roof. This can cause havoc in your house, leading to leaky ceilings, water damage and, in extreme cases, wood rot that can affect your home’s structural integrity. Perform a visual inspection from outside to check for ice, and if your ceiling shows any sign of moisture, call a roofing expert immediately. Frost heave is another problem you should be aware of. While most buildings are designed to account for the possibility of foundation issues that can be caused by frozen ground, it’s still a good idea to be in the know and take some preventative action to safeguard your property. During the winter, the ground in Calgary will freeze to a depth of a few feet below the surface. As part of this process, moisture is drawn into frozen zones, where it turns to ice. This displaces the soil, making the ground literally move in its wake. In most cases, the weight of a building, such as a house, is sufficient to stop frost heave in its tracks. However, if the soil is particularly moist, the frost heave can intensify. In extreme cases, frost heave can damage building foundations. An experienced landscape company in Calgary like Mirage Landscaping can help you create the right drainage characteristics. Potholes, frost heaves, cracks in concrete and asphalt alike are all forms of water damage. Whether the result of moisture getting into cracks in your asphalt and eroding the substrate, causing potholes to form under the weight of foot traffic, or just the freeze/thaw cycle causing your sidewalk to become uneven, these concerns merit addressing now to protect against tripping, slipping and falling accidents in the future. If you have a commercial property, take a good close look at your pathways and sidewalks to make sure they are in good repair. The hardworking pros at Mirage Landscaping can help you solve all your year-round property maintenance and landscaping needs. With spring clean-up season just around the corner, now is the time to book your visit with our team. Post-winter lawn care is essential if you want to have a healthy green lawn during the summer, and we provide a complete suite of services, including everything from power raking and debris removal to applying the season’s first layer of fertilizer. 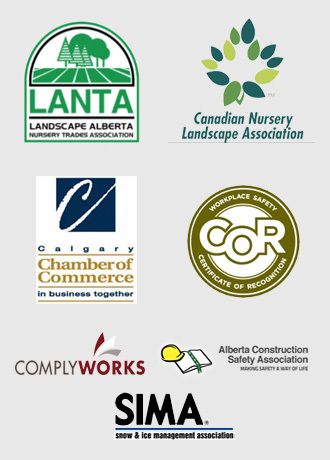 Our affordable and reliable services are a major reason why we’ve become one of Calgary’s leading landscaping companies. 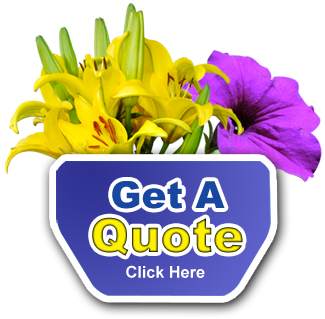 Visit us online today to get a fast, free quote for all your property maintenance needs.